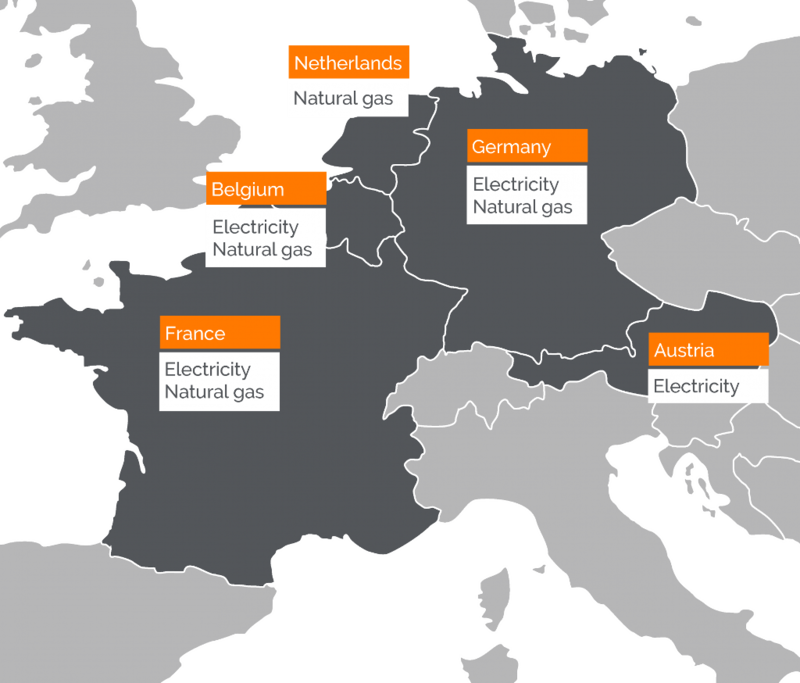 Enovos is Luxembourg's main energy supplier, also operating in Germany, France and Belgium. The mission of Enovos consists in two main pillars: on the one hand, Enovos provides electricity, natural gas and renewable energies to a wide range of customers including industrial clients, SMEs and private households. On the other hand, Enovos is active in the development of renewable energy projects. Thus, Enovos continuously invests in renewable energy production, especially in the domains of photovoltaic energy and wind power. By doing so, Enovos ensures a sustainable and competitive energy supply for all its customers. 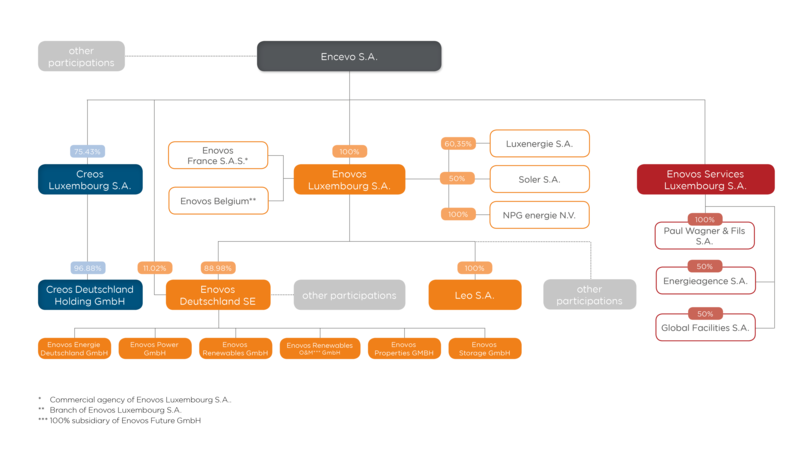 Enovos is a driving force in Luxembourg’s energy transition. The high expertise in the fields of eco mobility, energy efficiency, smart applications and distributed energy production make Enovos a key player in building Luxembourg’s energy future. 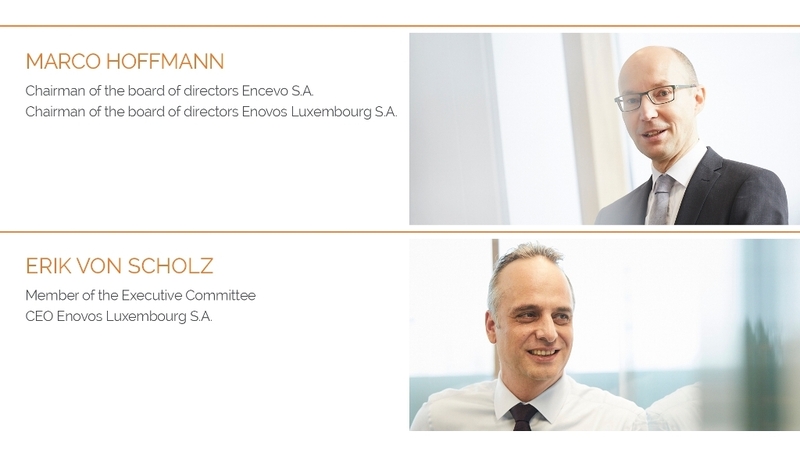 Enovos Luxembourg is wholly owned by Encevo, a holding whose registered office is located in the Grand-Duchy of Luxembourg and which acts as an umbrella for the network manager Creos Luxembourg S.A. The Encevo Group currently employs a workforce of more than 1,900, it has over 300,000 delivery points (electricity and natural gas) and operates more than 10,150 km of electrical power lines and over 3,700 km of gaslines through the grid operator Creos. Enovos operates directly, by means of subsidiaries or by means of shareholdings, throughout the entire value chain, from energy production up to delivery to end customers. True to its motto "Energy for today. Caring for tomorrow. ", Enovos wishes to be socially aware and responsible, making economic, environmental and social dimensions part and parcel of itsmodus operandi. It seeks to create stable long-term relationships with all customers based on quality of the services rendered, innovative products, and reliable and sustainable supplies. Enovos is keen to conduct its business in the best interests of all parties concerned, viz: customers, the general public, shareholders, public administrations and personnel. Enovos Luxembourg fully supports implementation of "corporate responsibility" in business affairs by the Fondation Enovos and many other social schemes. The Agency for the Cooperation of Energy Regulators (ACER) has imposed Regulation on the Energy Markets for the purpose of Integrity and Transperancy (Remit) according to the Euroepean Regulation on wholesales energy market integrity an transparency. At this moment no ad-hoc announcements or inside information according to art. 4, I of REMIT (European Regulation on wholesale energy market integrity and transparency) is available.